If you have an interest in learning the sport in Pickleball then this is the class for you. Join ATPC Instructor, Calvin Keeney and learn the basics of Pickleball including serves, volleys, forehands, backhands, rules, and point play. This class is a 4-week course that builds on itself from week to week. Finish each class with simulated point play and low key games. This is a great way to hit the pickleball court running with confidence!!! Classes begin on the first Monday of every month. RSVP 2 days prior to the first day of class. Space is limited!!! 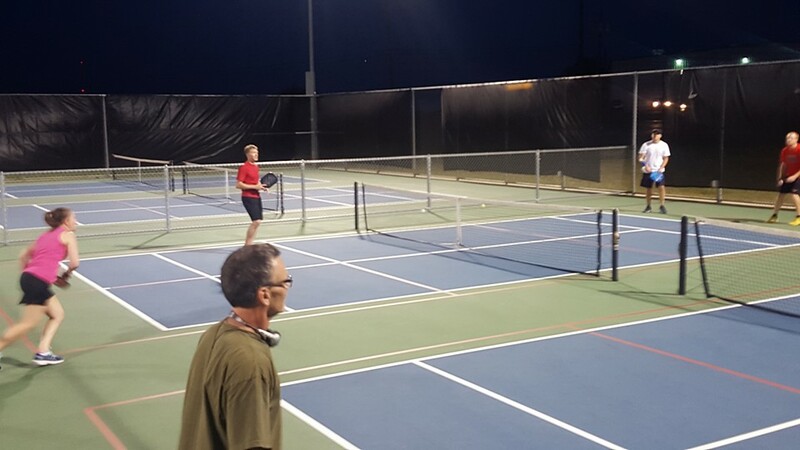 If you are interested and would rather build you confidence in your game in a private setting, consider contacting ATPC Instructor Calvin Keeney at 512-928-8119 or email at pickleball@playatctennis.com to schedule a private lesson.